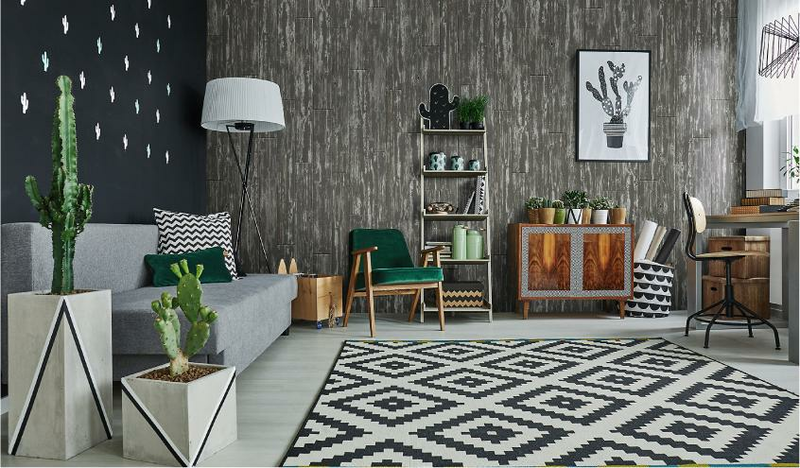 2019 is in full swing and if your New Year's Resolutions List consists of home upgrades and renovations, see the following interior design and decor trends that will ensure that your home is the talk of the town all year-round. It comes as no surprise that technology and the internet have allowed us to run and manage so many aspects of our lives by utilising these inventions, and your home will undoubtedly be no different. It is estimated that by 2020, 20 million smart home devices will be connected, which means that this impressive technology will soon become more affordable and accessible. Many appliances already feature "Internet of Things" connectivity, and soon, you'll be able to control your lights, open your doors and adjust the temperature from anywhere in the world with the click of a button. This technology will surely evolve even more over time and will take your home to the next level in terms of comfortability and simplification. If you feel like adding a dramatic look and feel to your home, now is the best time, as black is back and bigger than ever. You could either paint entire spaces in this colour or make use of a variety of shades. If you incorporate this statement colour into your home correctly, the effect is striking and does not make your rooms look smaller. Try combining natural textures and elements with this dramatic colour in your home. Natural finishes will remain popular for years to come. Stone, concrete, aged timber, slate and a variety of other textures are being found in homes. These natural materials leave your home with a beautiful and aesthetically pleasing look and feel. Make 2019 your year to create beautiful spaces in your home that showcase your unique style and individuality, instead of following fads that come and go.